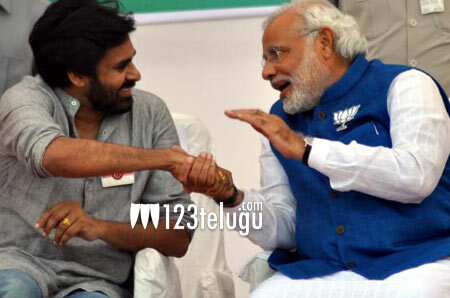 As we have earlier reported earlier today that Modi was so thankful to Pawan that he took to twitter and expressed his views “I want to express my gratitude to Pawan Kalyan Garu for his enthusiasm & support through the campaign across Andhra Pradesh” tweeted Modi. Pawan Kalyan has become the centre of attraction in the state in this 2014 elections. He launched his political outfit but did not contest the elections. And now with the backing of TDP and BJP, there is no looking back for Pawan Kalyan in the future.